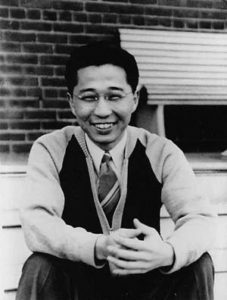 On Tuesday night, we went to the ACT Theater to see Hold These Truths, a play about Gordon Hirabayashi, one of the few people who resisted against Japanese internment during WWII. The show forced us to confront some uncomfortable truths – the failure of our country to uphold its values, the gross hypocrisy of our government leaders, and the human toll of all of this on Japanese Americans. It was about principles, and more importantly, the courage of the man who maintained them, even in the face of extreme difficulty and injustice. The play allowed me to reflect on my own values, and whether I would uphold them during such difficult times. 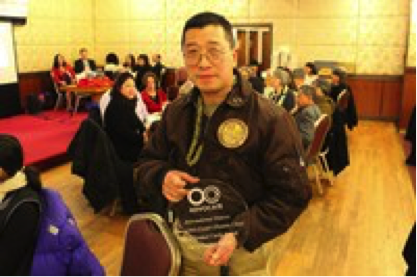 Recently, the International District lost a beloved community leader and hero, Donnie Chin. Much like Hirabayashi, Donnie was a man of values. Throughout his life, he dedicated himself to making his community safe. 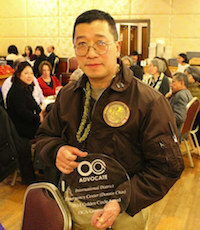 Donnie was the founder and director of the International District Emergency Center – a community-run safety patrol. He spent his nights watching for crime in the neighborhood, and providing emergency care to those who waiting for an ambulance. “He was like a real life superhero,” Sonny Nguyen recalled, as he told a story in which Donnie helped evacuate an entire building from a fire before the Seattle Fire Department arrived. Last week, we saw more than two hundred community members come together in a barbecue celebrating his life. I was moved by the many lives he has touched, and the compassion and kindness that he embodied. As we come to a close to our time in Seattle, we have certainly learned a lot about the issues that the city faces. However, more importantly, we have learned about the incredible people and non-profit organizations that stand up to these issues. The work that these organizations do is not easy, but at the end of the day, their passion and courage help sustain their causes even during the most challenging of times.